If you haven’t started watching Star Wars Rebels it’s not too late! Season 2 is about to begin and you might be worried that you’ve forgotten what happened in Season 1 or (Heaven forbid!) you haven’t seen it yet. No need to fear! 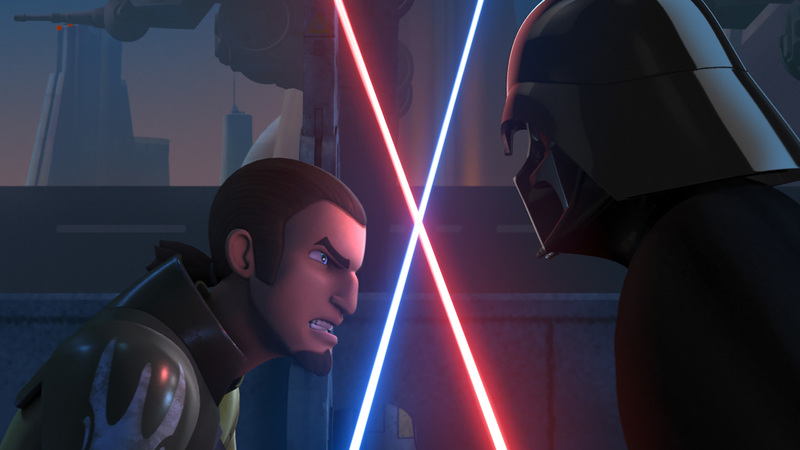 Here is your Star Wars Rebels Season 1 recap to prepare you for the Season 2 premiere on June 20th. Ezra, an orphan boy living by himself on the planet Lothal, collides (literally) with a group of thieves who are stealing some property from the Empire. Ezra tries to steal their take for himself and ends up needing to cooperate with them to escape the clutches of the Imperial forces trying to apprehend them all. It turns out this group of thieves is actually a band of rebels who are striking blows against the Empire in whatever way they can. Hera Syndulla, a Twi’lek and owner of the crew’s ship, The Ghost, leads the group with the help of Kanan Jarrus who we quickly find out is a Jedi in hiding. They are joined by Zeb Orrelios who acts as the crew’s muscle and Sabine Wren, a Mandalorian with a passion for explosives and art. Chopper, their astromech, rounds out the good guys. After sensing the Force is strong in Ezra, Kanan offers Ezra the chance to join the crew and be trained in the use of the Force. Eventually, Ezra accepts and boards The Ghost with the rest of the rebels. Throughout the season they are pursued by Agent Kallas and the Inquisitor, a creepy guy with armor reminiscent of Darth Vader. The Inquisitor also wields a double-bladed spinning lightsaber and is at the very least a match for Kanan which he finds out all too suddenly. Along the way, the crew of The Ghost are assisted by some friends familiar to Star Wars fans – Senator Bail Organa, C3PO, R2D2, Yoda (in voice only), and even a young Lando Calrissian. On the side of the bad guys, we encounter Tarkin, the Emperor, and Darth Vader himself. Ezra becomes more attuned to the Force throughout the season and becomes a true Padawan facing a series of trials in a secret Jedi temple found on Lothal. Kanan sheds his self-doubt about being Ezra’s teacher in that same encounter and takes seriously his charge to teach the young orphan. And Ezra even constructs his own unique lightsaber. Hera has been receiving assignments from a mysterious entity known only as Fulcrum. The true identity of Fulcrum remains a mystery until the season finale when we discover that Fulcrum is actually Ahsoka Tano, former Padawan to Anakin Skywalker (Darth Vader)! At the end of Season 1, Kanan has been captured by the Inquisitor and The Ghost crew are dead set on rescuing him despite the overwhelming odds against them. They find out where Kanan is being held and break in to get him. 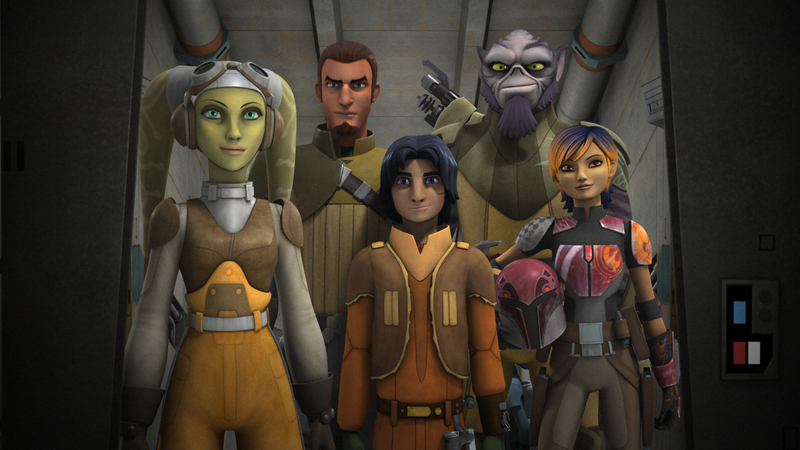 Ezra rescues Kanan while Hera, Zeb, and Sabine create a distraction and Chopper minds the ship. But all is nearly lost. The Inquisitor battles against Kanan and Ezra together this time while there seems to be no way out for the rest of the crew. In a desperate battle, Kanan defeats the Inquisitor, but rather than allowing himself to be captured, he commits suicide by falling to his death in what looks like the reactor core of the ship. Before he dies, he tells Kanan, “You have no idea what you’ve unleashed here this day. There are some things worse than death.” The crew make it out of the ship in stolen TIE fighters but can’t seem to find Chopper anywhere. When all seems lost, Chopper appears with a small fleet of other ships. Together, they rescue the heroes and take off for hyperspace. 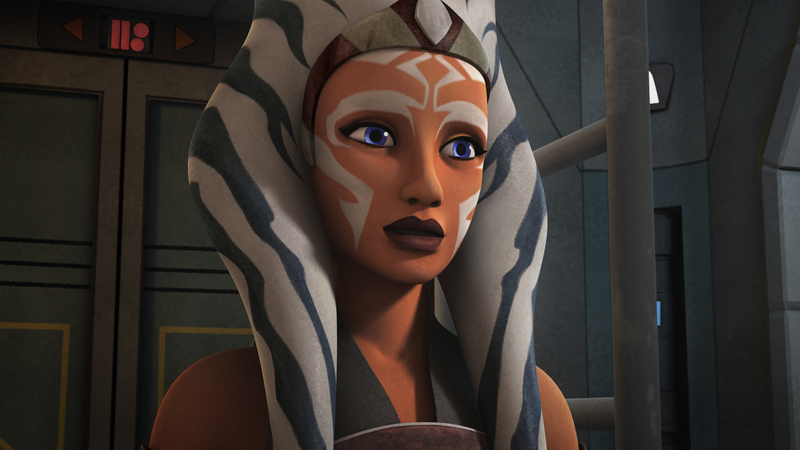 It’s there we discover that Chopper reached out for help from Ahsoka Tano and a few of the other Rebel cells. Meanwhile, Tarkin has called in for some additional help and Darth Vader exits his shuttle. Be sure to tune in for Season 2 beginning on June 20th!